“Keep some room in your heart for the unimaginable” Mary Olive Spent most of the night just below Nub Peak (2,755 m or 9,039 ft) to get this shot. I like the perspective higher up as Mount Assiniboine (3,618m or 11,870ft) rightfully towers over Sunburst Peak (2,849 m or 9,347 ft) in the foreground which you don’t appreciate at the nublet far below. Was a wee bit chilly up there at night. However between a warm dinner and our portable espresso machine, which @saultphotography and I lugged up there, we were warm and awake. Lucky to have a particularly large Mars thanks to its close 2018 approach and managed to line it up nicely with the top of Assiniboine. Made for an interesting decent with our head torches but we eventually made it back down to the tent just ahead of dawn, for a brief rest before getting up somewhat deliriously to shoot the sunrise at Magog Lake. Mount Assiniboine Provincial Park, British Columbia, Canada. This shot is looking South towards the North Face of Mt Robson over a very still Berg Lake. It was an amazingly clear night with the Milky Way rising and no sign of the moon so I walked down from our camp to the lake to take some astrophotography. We then had an aurora fire up so I turned around to take some shots North and watched the Aurora come and go for about 30 min. After the main aurora had faded, I went back to take a few more shots looking south over the lake to Robson as the Milky Way had lined up with the low point in the range. We then experienced the aurora related phenomena of ‘Steve’ accompanied by a ‘Picket Fence’ below it. Given we were looking South from a latitude of 53’ North this just makes it all the more incredible. 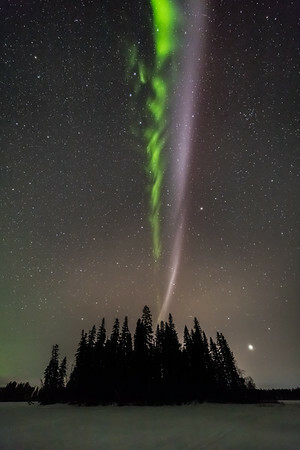 ‘Steve’ was formally scientifically investigated in 2017 and determined to be caused by a 25 km wide ribbon of hot gasses at an altitude of 300 km, temperature of 3000 °C and flowing at a speed of 6 km/s (compared to 10 m/s outside the ribbon). The ‘Picket Fence’ below was slowly cycling to the right of frame. Berg Lake sits at an altitude of 1,646 m (5,400 ft). The North Face of Mt Robson rises 2,308m (7,572ft) out of the lake to a total height of 3,954 m (12,972 ft) and is the highest peak in the Canadian Rockies. 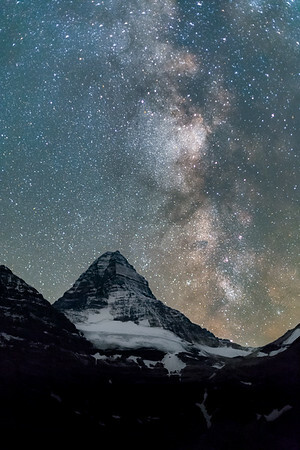 Mount Robson Provincial Park, British Columbia, Canada. The southern sky rises over the windswept isolation of the cottage once occupied by Mrs Hunt. 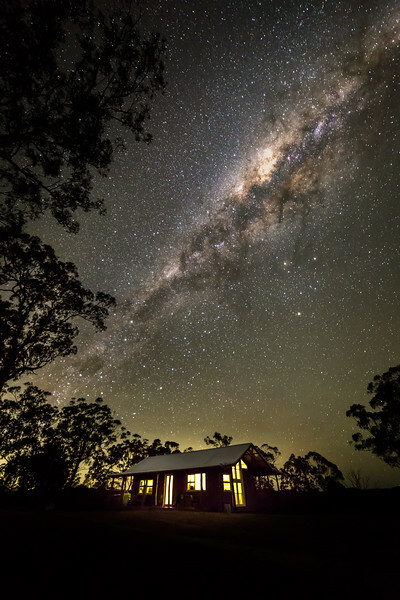 Ruby Hunt was one of the last to leave Maria island in 1968 before it became a National Park. She would operate a pedal wireless from the house, which at the time was the only communication link on the island with the mainland of Tasmania. If someone wished to send a message they would put it in a bottle, at night outside Mrs. Hunt’s door, and she would make the necessary call and leave the answer in the bottle for collection during the next night. 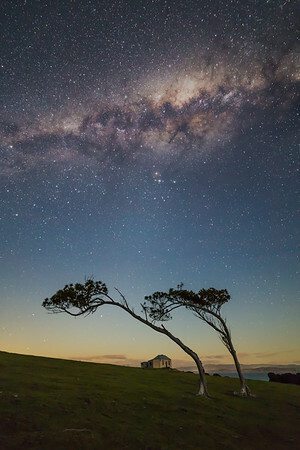 Maria Island is a remote mountainous island located in the Tasman Sea, off the east coast of Tasmania, Australia. The island was named in 1642 by Dutch explorer Abel Tasman after Maria van Diemen (née van Aelst). The last Aurora we were lucky enough to capture in 2018 a few days before the New Year. 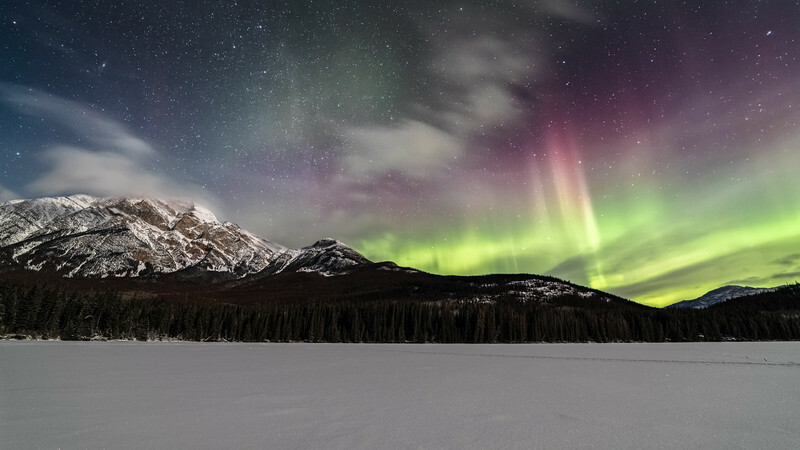 We had this display up at a particularly frosty Pyramid Lake in Jasper National Park; and it was quite dynamic to the eye. Aurora have been few and far between this last 12 months, so let’s hope this year we can officially call out 2018 as the solar minimum and things begin to pick up. That’s Pyramid Mountain shrouded in cloud on the left at 2,766m or 9,075ft. 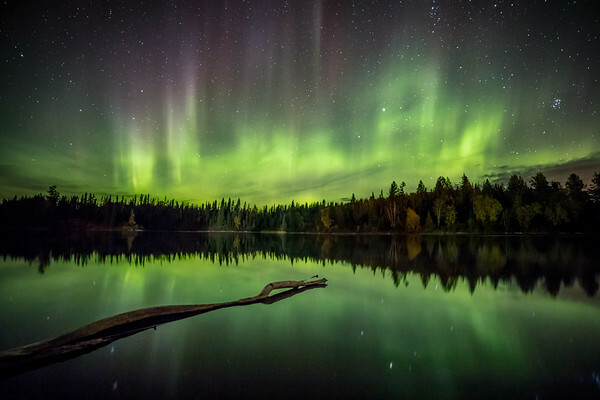 Northern lights over Ness Lake. Northern British Columbia, Canada. It is rare to find such stillness. No wind, no waves, no sound. So still I could set my tripod up on the deck of S/V BOB while at anchor and take a long exposure of the sky with no visible star movement. The silence out here can be deafening at times (at least once my kids are finally asleep!). Amazingly the G3 solar storm a few days ago was bright enough to cut though the endless blue twilight one experiences this time of year during the fleeting hours of semi darkness that you have when you’re up this far north. 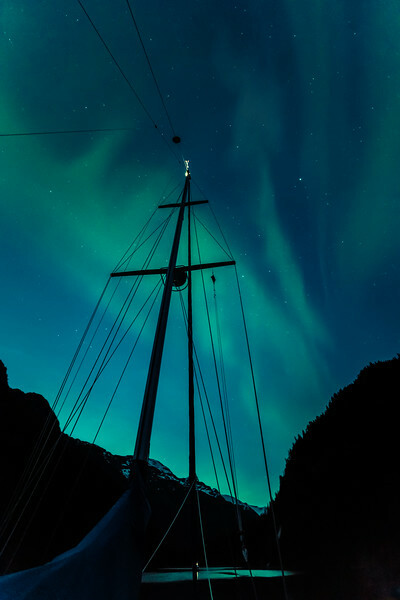 Happiness has always seemed a subjective state of mind to me, somewhat along the lines of Lucius Annaeus Seneca's words from two millennia ago that “a man’s as miserable as he thinks he is.” I do love mountains, sailing, and auroras; super chuffed to have combined them all in one shot. Scenery Cove, South East Alaska, USA. 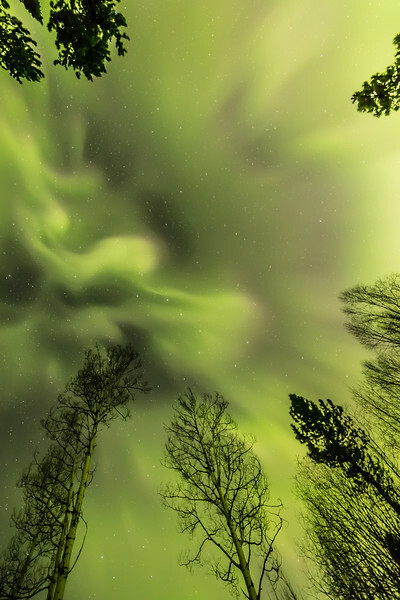 Wide angle shot in the forest looking straight up into the sky during a G3 solar storm at 54 Degrees North. Vivian Lake, Prince George, Northern British Columbia, Canada. 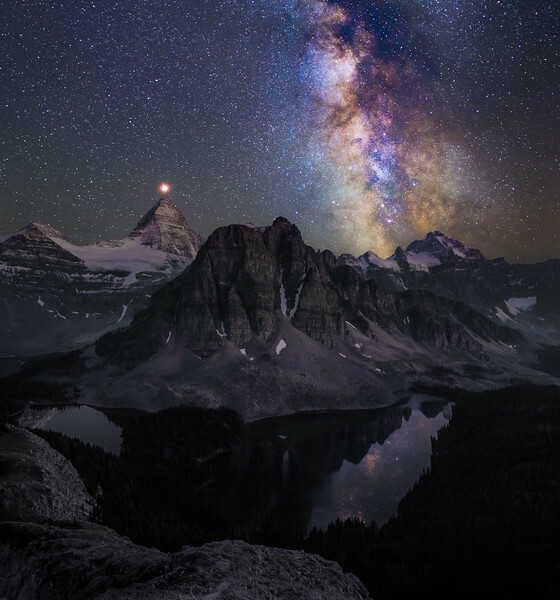 Few things make the mighty Mount Assiniboine (3,618 m or 11,870 ft) seem small; but the milky way has to be one of them. This is a ten shot stack with all shots taken using a 50mm f1.8 prime at ISO 6400 and a 10 second exposure time. Mount Assiniboine Provincial Park, British Columbia, Canada. 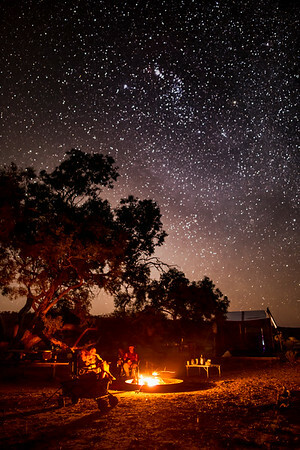 For all the astrophotographers and night sky enthusiasts out there I suggest you check out Bea Gallardo-Lacourt’s new paper “On the Origin of STEVE: Particle Precipitation or Ionospheric Skyglow?”. 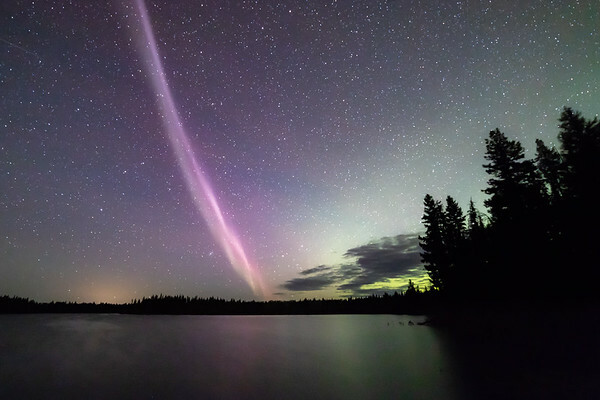 So we now know that while Steve accompanies an aurora, it is not actually formed by the same mechanism of particles raining down into the ionosphere. 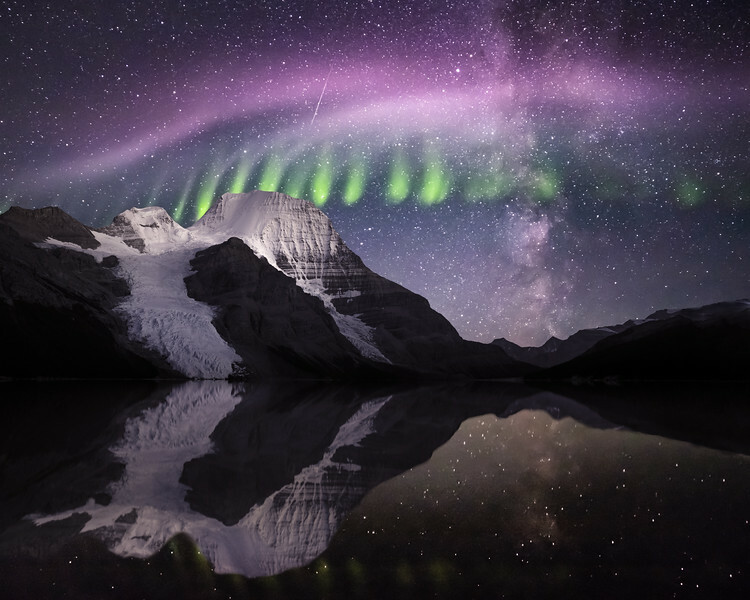 The paper suggests that Steve is an entirely new phenomenon distinct from typical auroras, as the POES-17 satellite detected no charged particles impacting with the ionosphere during the Steve event which was studied. 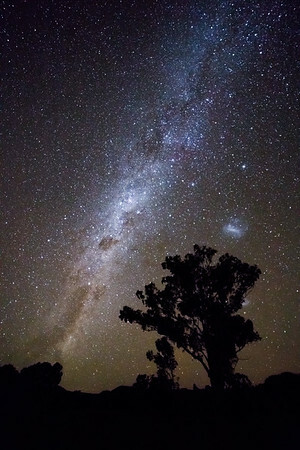 This means that is likely produced by an entirely different yet unknown mechanism they call “skyglow”. 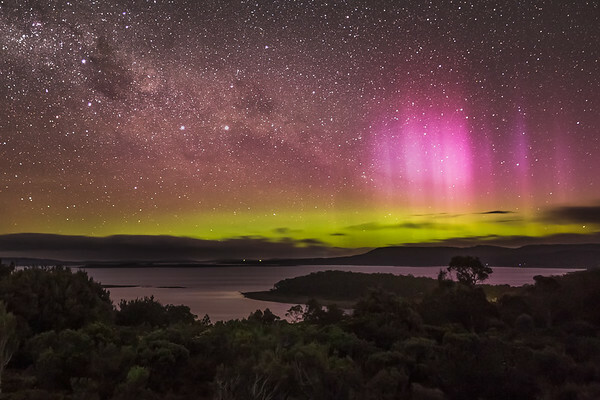 The skyglow is somehow related to the band of fast-moving ions and super-hot electrons passing through the ionosphere right where Steve was observed. I took this shot of Steve over Circle Lake in Eskers Provincial Park. It was a very dark night so you can see some skyglow in the sky along with some green from the Aurora Borealis in the North to the right of frame. Northern British Columbia, Canada.